Transforming your garage into a new master suite, a home office or a small apartment all are common garage conversion projects that involve many cost variables. 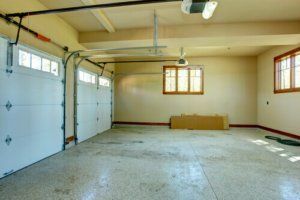 To determine the cost to remodel your garage, you should first base it on how you will use your new space. Most garages are already equipped with existing electricity for automatic garage door opening and lighting. However, they are not typically fitted for plumbing. If you want to turn your garage into a living space with a bathroom, you will need to have plumbing installed. You also will potentially need to add more wiring and outlets to the room for additional electrical accessibility. Depending on your climate, you may want to consider an HVAC system to make the room more comfortable. If your garage does not already have any windows, it’s usually relatively easy to add some. This is important if you want to list the space as a bedroom or rent it out. Per local building codes, it will need to have an egress window, or one big enough for a person to escape through in case of a fire. You will need to build interior walls and a ceiling with insulation if the garage is going to be a used as a bedroom or office. This will keep your remodeled room as comfortable as the rest of your home. Finally, don’t forget about interior design costs. Once you get past the above basics, your total cost will vary based on what types of materials you choose to finish the room, including flooring, furnishings and more. In the past, a garage was seen as simply a place to park your car and maybe stash some tools and the lawnmower. Times have definitely changed. At Republic West Remodeling, we can help with your garage conversion in Phoenix. Contact us today for details.